The headphone comes very handy when you needed one, especially when you have children at home. If you need some quiet time and they wanted to play their games, or watch a movie/video on a device you can always let them wear a headphone to have some quite time. I possessed a kid's headphone before and I intentionally want it for my son so he can use it anytime he wants to. It lasted for months, but I have noticed one day when my 5 years old told me he doesn't like to use them anymore because it was broke, I was totally bummed out. I was hoping for it to last for at least a year or so, nevertheless I guess I just didn't get the right brand. Today, another brand and different company that offers me to work with Kid's Headphones and I was ecstatic to work on it. It is just the perfect timing when I needed a new one for my son, and it truly came. I placed my order online through Amazon and placed the one time code that was provided to me. I have no problem with my online transaction, all went smoothly and to the checkout. The product arrived in the mail via UPS, it was shipped fast that I was able to check and use the headphone right away. The packaging is great, no signs of damage to the product. It is tightly wrapped with its product's original packing and to remove it, I have to cut the plastic using a scissor to finally get the headphone out of it. It didn't come with a user manual, but the writing and simple instructions can be found on the original label. It is pretty much simple, a plug and play headphone. The head strap is adjustable, can fit a petite's head and just perfectly snug on my son's head. The ear muffs have cushioned a soft kind foam sewed in some kind of plastic, fabric [not sure what's called though]. Just make sure you are careful because on the 2nd day my son used the headphone, he complains that it broke. I was a little bit alarmed,hence when I checked the headphone, he didn't mention it was the ear muffs' cover that comes off. The quality of the sound is also great. It seems like it is a sound proof too. For the List Price: $24.99 now drops to Price: $11.45 & Free shipping (3-5 days) for Prime members Details, you will save $13.54 (54%). It isn't bad for a nice and a good headphone for my son. Aside from the fact that my son loves the headphone, it's because I picked his favorite color, I have say for this kind of merchandise. I'm happy with the product itself. That's adorable! 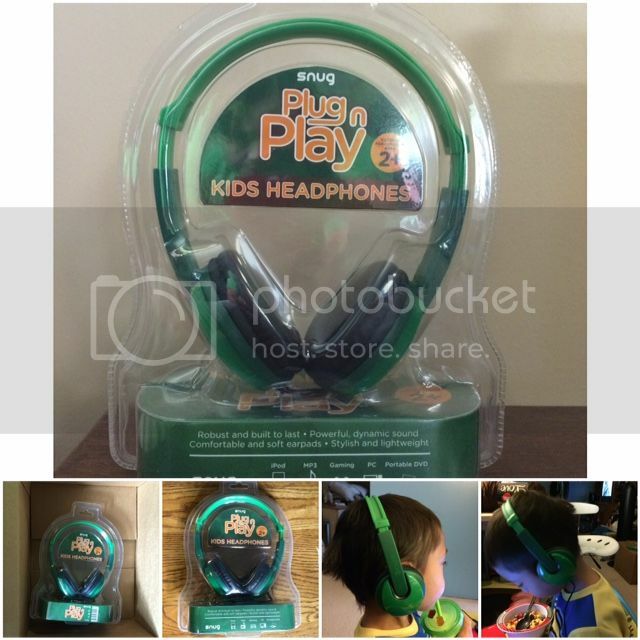 I've never seen headphones for kids before. I really think it's nice. Awww what an adorable little man. Looks so cool with his new headphone. Nice product, and it seems like your little boy is enjoying it. It looks comfy on him, too.